Like few other industries, real-estate developers are showered with special tax treatment. Trump is right on both counts: There’s no evidence he broke the law, and the tax code does indeed have a fantastic number of special industry carve-outs. Few industries have received more exemptions and treats from the tax system than the real-estate industry, which has spent hundreds of millions of dollars aggressively lobbying Congress for special treatment. Trump claimed Monday that “fixing the tax code is one of the main reasons I’m running for president,” but his actual tax plans say nothing about real-estate exemptions, and is heavily focused on providing even more advantages to wealthy individuals and corporations. If Trump is looking for ideas, Senator Bernie Sanders helpfully announced this week he will provide some. Sanders plans to introduce a bill in the new Congress next year that will address some of the very loopholes that allow people in the real-estate industry to take such great advantage of the tax code. 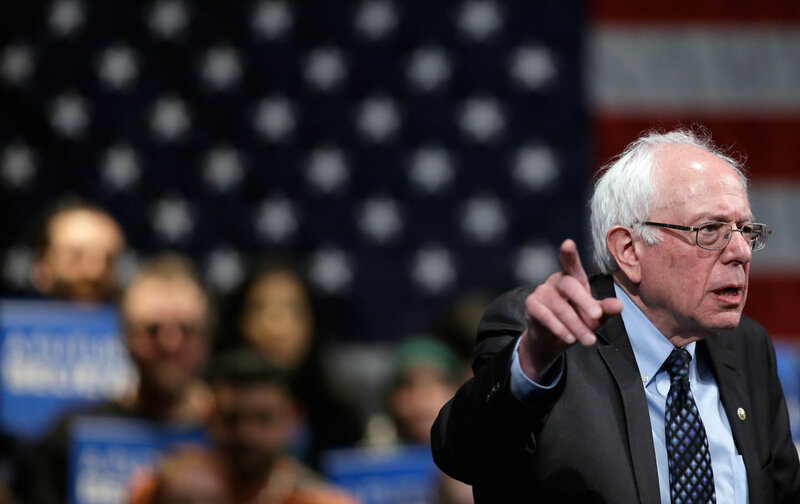 Sanders’s bill will directly address “passive loss” tax laws that exempt the real-estate industry. When Ronald Reagan signed a tax-code overhaul in 1986, taxpayers were barred from using losses from businesses they were not directly involved with to offset actively earned income—but there are huge carve-outs for real-estate losses. Sanders would eliminate those carve-outs. The bill would also end special exemptions that allow people in the real-estate industry to claim losses beyond what they are actually liable for—these laws would allow Trump to write off losses on a project beyond what he really invested. The bill would also change how capital-gains taxes are calculated on real-estate sales, as well as change industry-friendly debt and depreciation rules. Both President Obama and House Republicans have introduced tax plans that would, in different ways, end some special tax treatment of the real-estate industry. Each time, the bills are met with ferocious lobbying campaigns. The real-estate industry spent $95 million on federal lobbying in 2014 alone, which is triple what it spent in 1998. So Sanders’s bill will no doubt face stiff resistance. But there is a more immediate political utility—Sanders is trying to puncture Trump’s populist credentials by calling attention to these tax breaks and Trump’s failure, so far, to outline any proposed changes. Sanders is also using this political moment to underscore the long-held progressive desire to change the priorities of the US tax code.